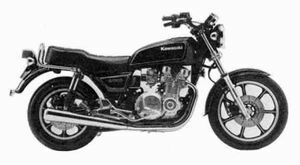 The Kawasaki KZ1100A is a motorcycle produced by Kawasaki from 1981 to 1983. 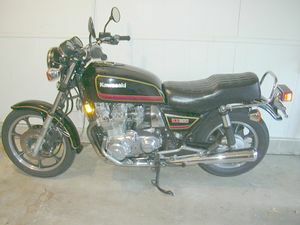 Remarks: Upgraded KZ1000A. Touring model with shaft drive. 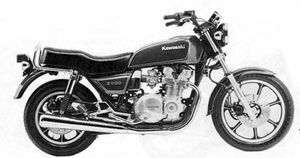 Remarks: Upgraded Z(KZ)1000-J. Touring model with shaft drive.